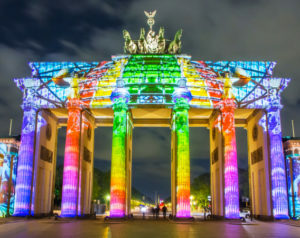 We are thrilled to bring the visual wonder that is 3D Projection Mapping for events such as Christmas Lights switch-ons and illuminating historic buildings or landmarks . This is an innovative technology in which moving images are created using highly sophisticated software. These are projected, wrapped and blended using a high power projector. 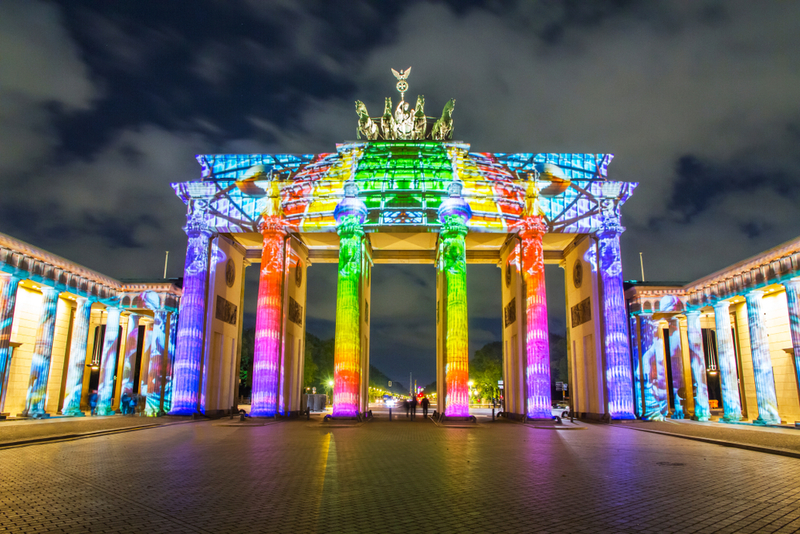 Images can be projected on to any solid object but work best on buildings with interesting facades such as this one at the Brandenburg Gate In Berlin. How does 3D projection mapping work? The technique of 3D mapping works by creating a series of moving images that can be superimposed on the target surface area with a three dimensional effect. We can create any image theme you like, from a Santa Claus climbing up the facade for a Christmas Lights event to a Halloween theme of flying witches and wizards.